“A well-informed citizenry is the best defense against tyranny” is a saying often attributed to Thomas Jefferson. This issue of Land Times is dedicated to that prospect as well, no matter the acclaimed author. But, to that end, what is it that Land Times is defending? The information contained in this 17th issue testifies to the efforts of defending a bundle of universally guaranteed rights. 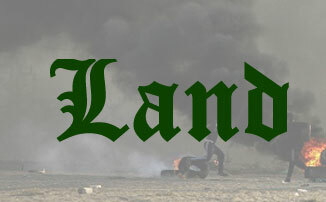 As the banner implies, it is defense of the land; that is, not only as a physical need, but also as a human right. The classical element of land is the first in a causal chain that makes possible the realization of the indivisible human right to adequate housing. 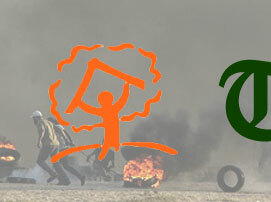 Logic and international law tell us also that the human right to adequate housing, with its composite elements, is a component of the human right to livelihood, an adequate standard of living. When that formula is broken by the threat or act of forced eviction, a gross violation of human rights, the efforts and struggles recorded in these pages defend the age-old right to return. That right, in turn, forms part of another bundle of entitlements that make up the right to remedy and reparation. And whom are we defending? As explained herein, they are the millions of refugees and displaced persons, vulnerable minorities and immigrants, people caught up in war and under occupation, peasants and small-scale farmers. Their identities are familiar, but the numbers keep changing at an unprecedented rate of increase. Defending them from what threats and violations of their rights, one might then ask. These articles largely answer that question with an inventory of factors, running the gamut from gentrification and urban development—in the case of Boston’s Chinatown—to entire peoples subjected to foreign colonization, population transfer, erasure and ethnic cleansing—as in the case of the Palestinian people. As seen from these examples from the MENA region and the rest of the globe, displacement and dispossession take place in diverse contexts of armed conflict, occupation, climate change and corporate activity, even by the tourism industry. The scale of the violations also varies. 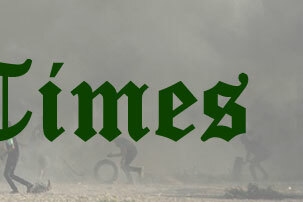 This issue of Land Times covers displacement and loss within a single neighborhood in a “world-class city” (Boston) and over entire regions: in MENA, where we have tried to calculate the number of affected holders due their right to restitution, and all of Africa, where governments recently gathered to address the continental displacement crisis. Scaling up still, this issue also reports the development of guidance for addressing land and conflict across the UN’s global operations. In the pursuit of remedy and restitution of rights, the tools of defense are also diverse. Depending on the context, this always calls for a combination of legal norms and obligations, monitoring techniques and instruments, methods for assessing and quantifying impacts of violations, litigation in the courts, and policy recommendations consistent with all of the above. Whether the objective is remedy or prevention, a strong defense is always required. Here we take up that task with some indispensable information…against tyranny.